Home » 144-blocks-puzzle » 144 Blocks Puzzle, the extremely addictive puzzle game released on Android! 144 Blocks Puzzle, the extremely addictive puzzle game released on Android! 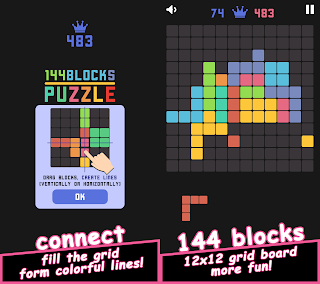 HWDOT today announces that it released 144 Blocks Puzzle, a challenging but simple and extremely addictive puzzle game for Android-powered smartphones. 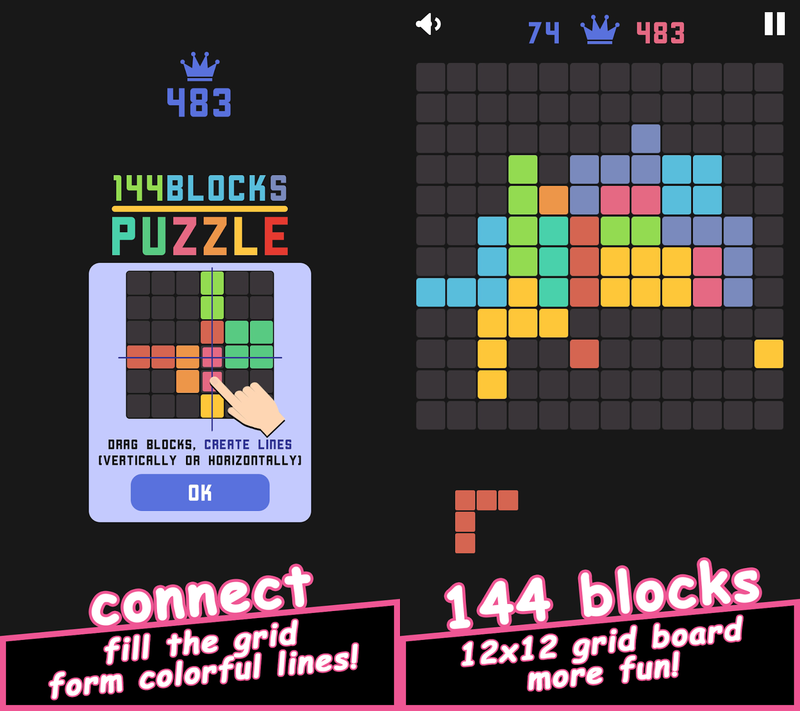 144 Blocks Puzzle is a free-to-play mobile game for all ages. Loaded with 12x12 grid board, rotation, and autosave, 144 Blocks Puzzle is available now from HWDOT as a free download on Google Play. 144 Blocks Puzzle is a very addictive and easy to learn puzzle game. Inspired by classic block puzzle mania games, 144 Blocks Puzzle is surely one of the best tetris-like game for touch screens, your next free-to-play block challenging puzzle game! Not like a familiar 1010 grid board setting, this game board is set at 12x12 grid. 144 Blocks Puzzle is a perfect adults and kids game that lets you combine puzzle blocks, build and destroy structures by creating lines. The objective of this retro block game is to drag and drop blocks in order to create and destroy full lines on the screen both vertically and horizontally, and don't forget to keep the blocks from filling the screen. Gain maximum point by placing each blocks wisely on the grid to remove several lines simultaneously. Sounds simple? Yes it is until things get complicated. 144 Blocks Puzzle comes with the essential autosave feature that automatically saves game state on exit, so you can always continue your progress later. Plus, you are able to rotate before placing blocks! ★ 12x12 grid board. More Blocks More Fun! ★ Simple user interface (UI), Easy to learn with in-game how to play! ★ Autosaved game, Start and stop, Pause and Resume any time, no matter where you are! ★ Rotate before placing blocks! ★ Endless game without time limit! ★ Supports up to 1080p Full HD graphics. 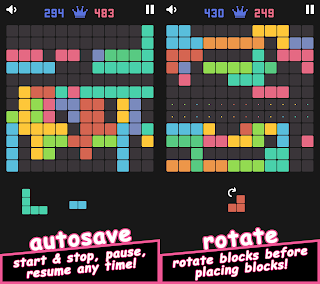 - Drag and Drop, Rotate, Connect puzzle blocks to form colorful lines. - Just fill the grid with shapes to form a line and destroy full lines both vertically and horizontally. Don't let the shapes fill the grid! Let's Play 144 Blocks Puzzle and Challenge your puzzle game skills with this exciting skill game! Connect shapes together with addicting 144 Blocks Puzzle once and you'll want to play the new amazing 1212 game more. Addictive and Lots of fun! You can now download the 144 Blocks Puzzle from the official Google Play store. HWDOT is a developer and publisher of casual games for mobile including Pinkie Pom, ZEL, Flower 2048, and 144 Blocks Puzzle. We specialize in delivering free-to-play mobile games to markets around the world. For more information, please visit www.hwdot.com. Title : 144 Blocks Puzzle, the extremely addictive puzzle game released on Android! 0 comments on "144 Blocks Puzzle, the extremely addictive puzzle game released on Android!"